If you are a food blogger with recipe content, this is an important one for you! Believe it or not, how close this ad is to the print button will actually have a big impact on its performance. 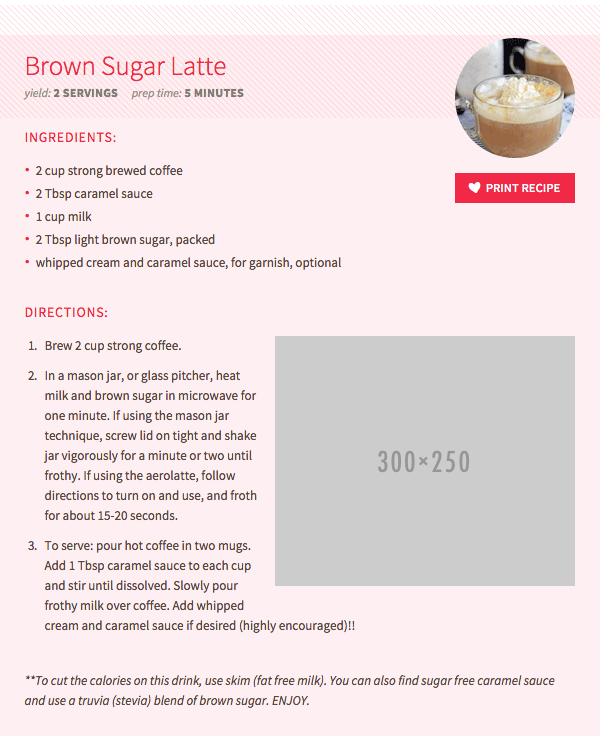 “Bouncy” users coming in from Pinterest and Facebook tend to head straight for your recipe card, hit print, and bounce out again. If they’re not engaging with your actual content, you still ought to be making good money off them - after all, you’re giving them a free recipe or craft! So placing the ad near the print button makes sure that it gets into view for those users, maximizing your earning potential.